This year has produced a flood of fitness trackers and, as such, it takes more than it has in the past to stand out from the crowd. The unassuming Withings Pulse has a neat trick up its sleeve that just might do it: In addition to all the usual stuff, it can take your pulse. It's a little fitness-tracking pod that counts your steps, stairs climbed, and minutes that you're active, but also monitors your sleep patterns, checks your heart rate, and motivates you to be less of a lazyass. Lazyasses who want their asses to be less lazy. Also, for people who are really into personal stats and metrics. It's a... what the hell shape is that? Does it even have a name? From straight on it looks like a rectangle. From the top down it's a drawn-out ellipse. If you know what this shape is called, do let us know. The Pulse syncs via the Bluetooth 4.0 Low Energy protocol, which means you must have a recent-generation iPhone, iPad, iPod, or a Samsung Galaxy S III or S4 (though we expect the upcoming release of Android to support BLE natively), because that's the only way to sync and use it. The app is nicely laid out, with easy-to-read graphics. On the Pulse itself, you can use the single button to scroll through the time of day/battery level, the number of steps you've taken, the number of feet you've climbed, the estimated distance you've walked, the estimated number of calories you've burned, and a page to start heart rate or sleep monitoring. For each of those items you can swipe your finger back and forth across the screen to see data from previous days (it holds two weeks' worth of data at a time). To check your pulse, you touch the image of the heart (on that screen) and then gently touch your finger to the sensor on the back of the device (which lights up). Ten seconds later, you've got your pulse. Similarly, to start monitoring your sleep, tap the moon icon on the display, and then slip the Pulse into a soft strap you wear on your wrist (included). When you wake up in the morning, hit the button a couple of times so it knows you're awake. It works really well. It factors in more data than just about any other fitness tracker, and displays it right on the screen or in easily navigable apps. We found its readings to be mostly accurate, too. The web interface is absolutely horrible. As of now, you can't read any of the stats collected by the Pulse. Your dashboard just has things you input manually or have synced from a connected scale. Also, you can have it display your height over a number of weeks. Your height! How much do you think your height changes from week to week? UPDATE: Turns out Withings just rolled out an updated web interface that incorporates all of the Pulse's data rather beautifully. You can rearrange the widgets in whatever order you like and they all display pretty nuanced detail. Check out the sleep detail below. So I guess that's not a tragic flaw anymore. New tragic flaw is that the touchscreen is often unresponsive and hard to read in bright daylight. So there. There are some gremlins in this machine. Syncing can be very spotty. It's supposed to do it automatically every six hours (you can also do it manually at any time, as long as your phone is within range), but we would have a period of days where it wouldn't sync at all, even manually. That said, it's been behaving better with the most recent software update... but you can't install that update if you can't sync your device! Battery life was a mixed bag. I typically got about 5 days to a charge give or take two days. Generally the Fitbit One outlasted it by a day or two. The heart rate monitor is pretty accurate. We generally found it to be within five beats per minute of the Basis B1 Band and a Polar chest strap. 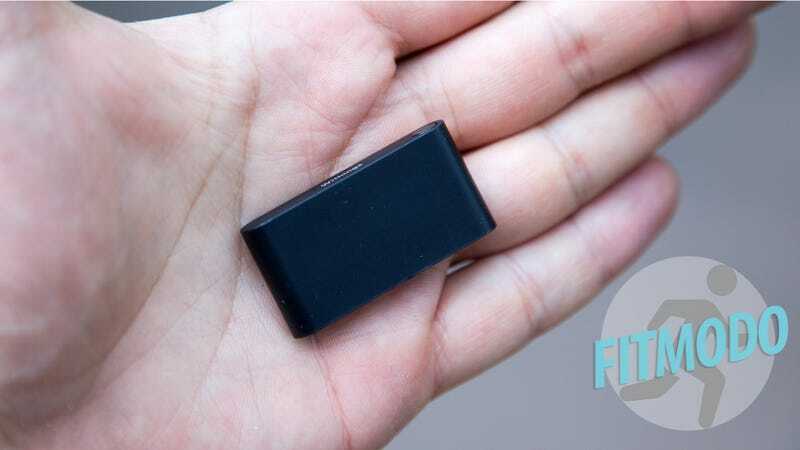 It's not the most convenient device, since you need to manually start heart rate and start/stop sleep monitoring (the Basis does both automatically), but we prefer the pocketable form-factor. It's easily hidden away and won't catch on stuff or take up any wrist real estate. The screen is lousy compared to the Fitbit One. It's not nearly as sharp or as bright. You'll struggle to read it on a bright day. It's a bit harder to navigate than the Fitbit One, but then again it displays much more information. We wish it had the Fitbit One or Jawbone UP's silent alarm feature. It integrates with Withings connected scales, but we were unable to test this. Assuming you have a newer phone that it will work with (check compatibility before you buy), then you should at least consider it. It's a really nice piece of hardware, and it gives you more metrics than just about any other tracker; hopefully the web interface will catch up with the hardware in time.